Myasthenia gravis diagnosis and treatment have come a long way in 50 years. Technological advances have led to more timely and accurate diagnosis, and new and enhanced therapies have improved management of the disorder. Much knowledge has been gained about the structure and function of the neuromuscular junction, the fundamental aspects of the thymus gland and of autoimmunity, and the disorder itself. Despite these advances, however, there is still much to learn. A number of MG treatments are in clinical trial stage. If you’d like to learn more, you can visit https://clinicaltrials.gov/ct2/home to find studies that are recruiting participants. Medical research resulting in a cure for MG is the ultimate goal of Conquer Myasthenia Gravis. One of Conquer MG’s most exciting and rewarding activities is sponsoring projects with this end in mind. Conquer MG works with its Medical Advisory Board to establish research initiatives to fund. In 2017, Conquer MG awarded a research grant to Kevin O’Connor, PhD, Yale University. Click here for a summary of Dr. O’Connor’s study, “Targeting the Pathogenic B Cells in Myasthenia Gravis”. “Evaluation of IL-17A as a Therapeutic Target for Myasthenia Gravis” by Henry Kaminski, M.D., George Washington University. These research projects were chosen for funding because they represent unique, novel ideas that may open significant new avenues of research on MG. They also represent areas where preliminary data are lacking. Conquer Myasthenia Gravis funds research through the Mary B. Prokop research bequest, plus donations from individuals and corporations. To donate to research sponsored by Conquer MG, be sure to note “Research” on your donation check. Or click here to donate online; then email info@myastheniagravis.org to specify that your gift be used for research. Research for the cause and cure of any disease is a multi-stage, long-term process. While Conquer MG has chosen to support small academic pilot studies, funds for other MG studies come from a variety of sources. The National Institute of Neurological Disorders and Stroke (NINDS), one of the Federal Government’s National Institutes of Health (NIH), has primary responsibility for conducting and supporting research on myasthenia gravis. MG research also is being sponsored by organizations such as the Myasthenia Gravis Foundation of America, the Muscular Dystrophy Association, and by private companies. Testing different drugs, either alone or in combination with existing drug therapies, to see if they are effective in treating the disorder. A study that seeks to understand the molecular basis of synaptic transmission in the nervous system. A study of thymectomy in individuals who do not have a thymoma, to assess long-term benefit the surgery may have over medical therapy alone. Examining the safety and efficacy of autologous hematopoietic stem cell transplantation to treat refractory and severe myasthenia gravis. A clinical trial is a research study that uses human volunteers to answer a specific health question. If you would like to participate in an MG clinical trial, you can learn which studies are recruiting by visiting www.clinicaltrials.gov. (Search on “myasthenia gravis.”) This website is a service of the U.S. National Institutes of Health (NIH). 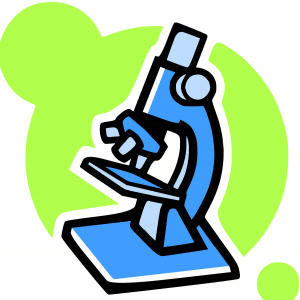 It offers up-to-date information for locating federally and privately supported clinical trials for a wide range of diseases and conditions. Reviewed by the MGF of Illinois Medical Advisory Board, November 2015.